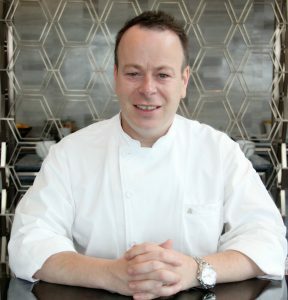 Beijing, China, June 28, 2016 /ChinaNewswire.com/ - Jonathan Howes has been appointed executive chef of New World Beijing Hotel, overseeing the culinary operations of four restaurants and bars and catering of all hotel meetings and functions. A British native, Chef Howes has devoted himself to international hospitality food and beverage for more than 25 years. Prior to joining New World Beijing Hotel, Chef Howes held the position of executive chef at Hyatt Regency Osaka, following positions as executive sous chef at Grand Hyatt Dubai and chef de cuisine at Grand Hyatt Beijing. 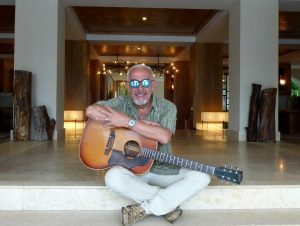 Previously, he worked with several other international hotel brands and has developed extensive experience in the management and operations of culinary teams. With his great passion for food and cooking, Chef Howes decided to become a chef immediately after graduating from Buckingham Secondary College in 1990. Beijing, China, June 22, 2016 /ChinaNewswire.com/ - The Westin Beijing Chaoyang announced the introduction of Crafted at Westin, a new signature cocktail menu that invites guests to choose well behind the bar. Taking inspiration from fresh natural ingredients, local flavors and craftsmanship, Crafted at Westin is the Westin brand’s newest food and beverage program. Specifically at The Westin Beijing Chaoyang, 10 types of cocktails will be introduced. The Crafted at Westin menu is now available in the lobby Exchange bar. 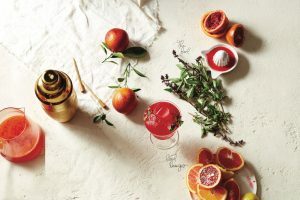 • Bellini Thyme selects the house-made peach thyme syrup mix with fresh lemon juice, and top with champagne. This cocktail provides you a taste of refreshment. • Rosemary Pineapple Margarita, is a cocktail with mild colour and passionate flavor. Combine rosemary and pineapple which bring you a unique aroma. Crafted at Westin is part of the Eat Well pillar as part of the Westin Well-Being Movement, that encompasses programs across Westin’s six pillars of well-being – Sleep Well, Eat Well, Move Well, Feel Well, Work Well and Play Well, to promote a comprehensive approach to healthy lifestyles. From the world-renowned Heavenly® Bed and nourishing SuperFoodsRx™ dishes, to the energizing WestinWORKOUT, RunWESTIN™ and Westin Gear Lending with New Balance®, among other initiatives, every element of a guest’s stay is designed with their well-being in mind. 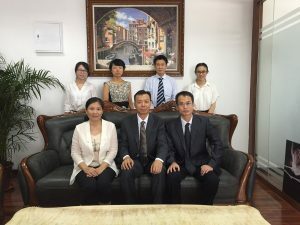 Shenzhen, China, June 16, 2016 /ChinaNewswire.com/ - Starting and running a business in China involves navigating many legal hurdles, and more often than not many foreign companies find they've ignored or avoided many legal requirements when it's already to late. To avoid these pitfalls and to learn how to operate correctly, Royal Law Firm is holding a free legal seminar in Shenzhen. The English-language event will be held in Royal Law Firm's office headquarters in Shenzhen on 01 July 2016 from 2:30PM to 7:00PM. Mr. Wang Dong, director of Royal Law Firm, and a commercial and company law expert as well as a labor arbitrator at Shenzhen Labor Arbitration Committee, will share with attendees the best ways to setup, organize, and execute a business in China. 10. Litigation and arbitration in China. The southern Chinese metropolis of Shenzhen is a hotbed of technology innovation, with many Internet of Things (IoT), fintech, and hardware companies setting up incubators, companies, and factories. These businesses as well as traditional manufacturing businesses are all welcome to attend this event. 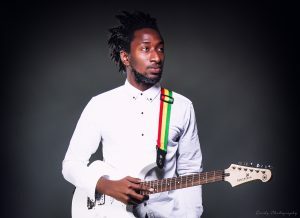 Please call 0755-86667726 or email [email protected] to book your seats. 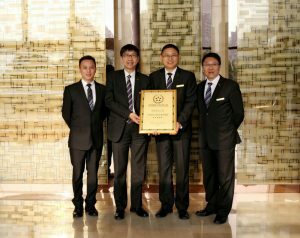 Foshan, Guangdong, June 15, 2016 /ChinaNewswire.com/ - Regal Financial Center Hotel Foshan has won the “China's Best Newly Opened Business Hotel” from “2016 China Tourism and Hotel Award”. 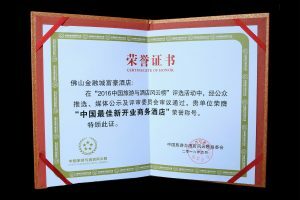 2016 China Tourism and Hotel Award, adhering to the international accreditation criteria, select and issue the most credible and influential annual brand excellence award through the public selection, media publicity and expert review. 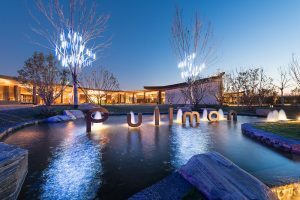 It praises the most influential brands in Chinese tourism and hotel industry which effectively enhance awareness and influence of the enterprise. Regal Financial Center Hotel sits right on top of the metro station and is situated in the heart of Guangdong Financial High-Tech Zone, Foshan City. As part of Foshan’s top-notch Metro City Urban Commercial Complex, shopping, entertainment and local sightseeing are within a short stroll from the Hotel. Regal Financial Center Hotel features 230 exquisite guest rooms, four restaurants, one 500m2 pillar-free Regal Ballroom and 11 mutil-function rooms, offering optimum flexibility to cater to any kind of gala events, banquets, meetings and weddings. Shanghai, China, June 3, 2016 /ChinaNewswire.com/ - Pitch.Asia, Asia's leader in connecting journalists with industry experts, has created a new licensing partnership with China Newswire (ChinaNewswire.com) for the use of China Newswire's database of more than 30,000 media records. The partnership leverages and connects China Newswire's focus over the past decade on media monitoring, press release distribution, and media database building with Pitch.Asia's services across Asia. Pitch.Asia will use the database to help update its own records and assist industry experts and public relations firms in reaching out to a broader group of reporters, editors, and social media influencers inside China. 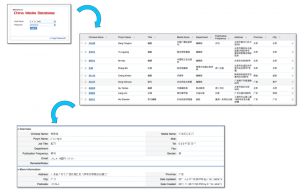 "Our China Media Database services have been sculpted by over a decade of use by our clients, and we continue to maintain a high level of integrity for this service," says Rose Gao, Media Manager at China Newswire. "Expanding licensing to more companies like Pitch.Asia ensures we continue to connect with every record in our system to ensure freshness and availability. Pitch.Asia already has a large journalist database for Greater China, and we will complement this for a win-win partnership." The Chinese online news and media sector has witnessed many business movements and much growth in the past few year as Alibaba has purchased partial or entire stakes in Shanghai-based China Business Network, Hong Kong-based South China Morning Post; and video-sharing website Youku Tudou. And U.S.-based Time Magazine just announced the purchase of CCI Asia-Pacific Ltd., the Hong Kong-based publisher of Fortune China. Forbes.com was also sold to a Hong Kong-based investor group nearly two years ago. Pitch.Asia currently provides a news dashboard covering business, political, and social news from across Asia from Afghanistan to Japan and down to Malaysia; online job boards for journalists; a query service for reporters to seek comments from registered industry experts; and online forums for journalists to exchange knowledge. Utilization of China Newswire's database is also assisting Pitch.Asia in its beta testing of a full Chinese-language media service that will be soon rolled out. While the number of print newspapers in China has remained steady at about 1900 for the past few years, the number of online media titles, journalists, influencers, and online writers has exploded in China as social media and microblogging as taken off. China Newswire tracks the key key media data necessary for public relations, marketing, advertising, and outreach organizations to use for online media campaigns. China Newswire was first acquired by Vocus Inc. in early 2010 from top SaaS and online marketing firm BDL Media, and then it was acquired as a standalone entity in 2012. China Newswire now operates as an independent entity with operations in Hong Kong, Shanghai, and Beijing and provides press release distribution, online media monitoring, and media database services. 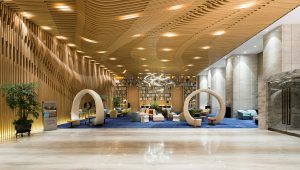 Shanghai, China, June 3, 2016 /ChinaNewswire.com/ - AccorHotels announces the opening of Novotel Daqing Haofang, the first mid-scale property under the Novotel branding in the city. 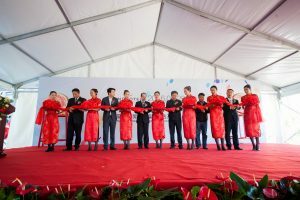 This also marks the fourth AccorHotels property in Heilongjiang Province, following on the successful openings of a Sofitel and two ibis hotels in the neighbouring cities of Harbin and Qiqihar. 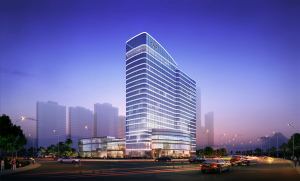 "We're excited about the opening of our first Novotel hotel in Heilongjiang Province," said Michel Molliet, Chief Operating Officer, AccorHotels Greater China, "The opening of Novotel Daqing Haofang enriches AccorHotels' brand portfolio in Northern China and reinforces our continuous growth in Greater China." Novotel Daqing Haofang is located in the city's East Central Business District, with Daqing City Museum only a 10-minute drive away and a five-minute drive to Daqing Longfeng Wetlands Park. Daqing East Station terminal is a short 10-minute ride by car and Daqing Saertu Airport is a 30-minute drive from the hotel. The hotel's 280 well-appointed guest rooms and suites are designed to provide guests with a good night's rest. For meetings and events, the hotel offers over 2,150-square metres of banquet and conference space with natural light. Its grand ballroom and seven function rooms are equipped with state-of-the-art audio and video technology such as LCD projector and screen. 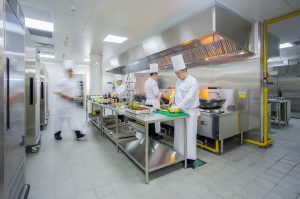 The hotel has two dining outlets : The Square is the signature all-day dining restaurant offering international buffet and a-la-carte menu options; Yue Hua Chinese restaurant features 13 private dining rooms catering for private events and serving authentic Guandong, Shandong, Si Chuan dishes and seafood. Fitness enthusiasts can enjoy a refreshing workout at the gym or indoor pool. Pampering facial treatments and relaxing massages are available at the hotel's in-house spa and beauty salon. With Novotel, AccorHotels leaves guests free to enjoy their stay to the full. Novotel Hotels, Suites & Resorts provide a multi-service offer for both business and leisure guests, with spacious, modular rooms, 24/7 catering offers with balanced meals, meeting rooms, attentive and proactive staff, kid areas, a multi-purpose lobby and fitness centers. Through PLANET 21, AccorHotels' sustainable development program, Novotel commits to Man and the Planet. Novotel has over 450 hotels and resorts in 61 countries, ideally located in the heart of major international cities, business districts and tourist destinations. AccorHotels, the world's leading hotel operator, has nearly 3,900 hotels and over 190,000 employees in 92 countries. Over 190,000 women and men in almost 3,900 AccorHotels establishments look after thousands of guests every day in 92 countries.